Hello friend, I found this image on twitter. 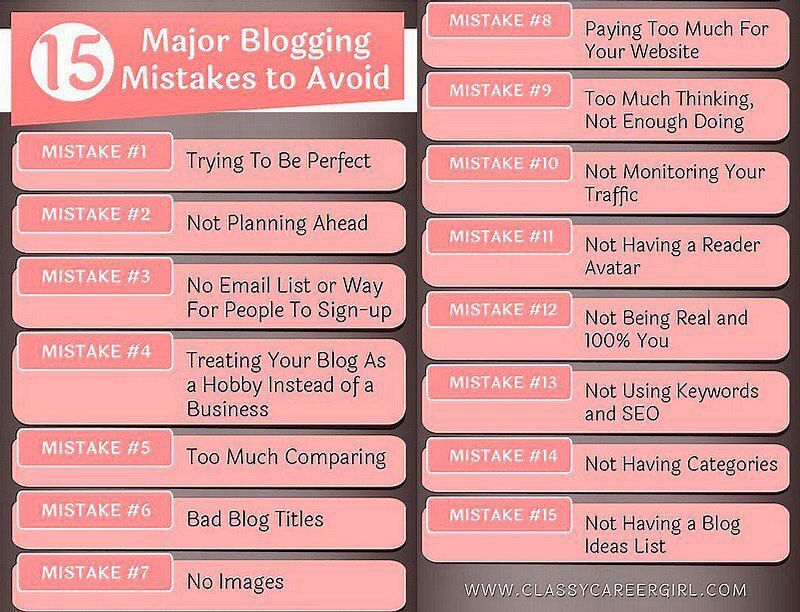 If you are a blogger, you should read all points mentioned in the images. You should not make these 15 mistakes and if you’re making these mistakes you should fix immediately.